Basically meatballs wrapped with bacon. 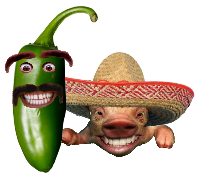 They may sound weird but they are awesome! Extremely tasty when done correctly. In this smoke we are taking Moink Balls to the next level by introducing some different layers of flavor. Lets start with the ground beef. You will need 4 lbs. of 80/20 ground beef. It's key that you steer clear of leaner beef. 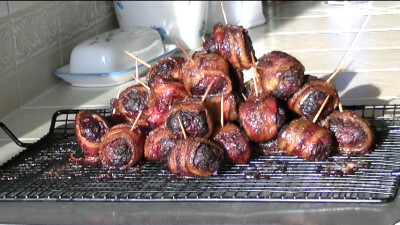 Moink balls are wrapped with bacon which takes a bit longer to cook. Leaner beef will dry out to fast. 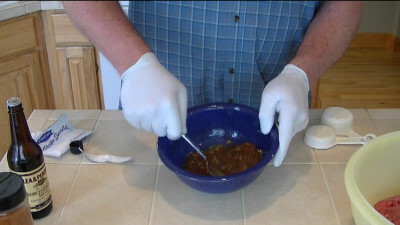 The next step is to combine 3 eggs, 1/3 cup Worcestershire sauce, 2 cloves of chopped fresh garlic, 2 teaspoons Jack's Old South Hickory Rub and 1/2 packet of Lipton soup Mix. Stir this up thoroughly. Thoroughly mix the sauce we just prepared with the ground beef. This will add flavor but most of all it will provide additional moisture within the Moink Balls so they don't dry out. Now form small beef patties about 3" in diameter. Place a chunk of Pineapple in the center then wrap the ground beef arounf the Pineapple chunk and form a meatball. 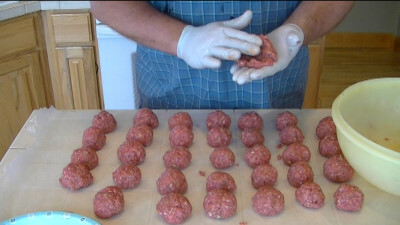 Perform this task until all of the neat is formed into meatballs. 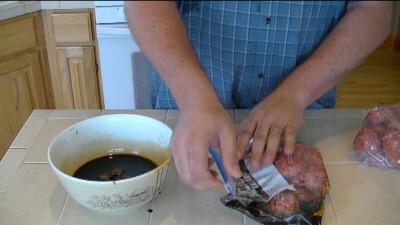 Once the meatballs are formed, divide them up and place them in two 1 gallon Ziplock bags. Next we will make the Teriyaki marinade. In a medium bowl combine 2 cups Yoshidas and the remaining Pineapple juice from the can of Pineapple chunks. 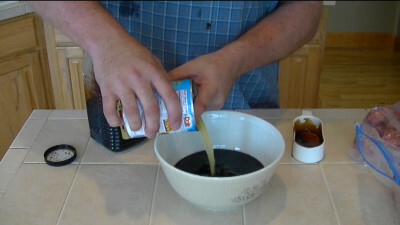 Mix the marinade thoroughly. Now pour 1/2 the marinade into the first Ziplock bag and the other 1/2 into the second. Seal them up and place them in the refrigerator to marinate for one hour. After 30 minutes flip the bags over so they marinate evenly. Cut each package of bacon in half. 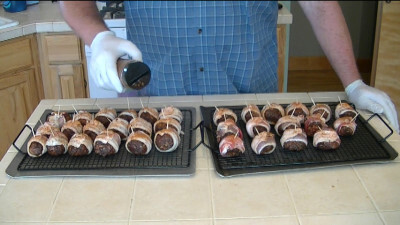 Once the Moink Balls have been marinated, remove the Moink balls one by one and wrap them with a piece of bacon and place on a cookie sheet or smoking racks. Use wooden toothpicks to hold the bacon in place. Once they are all wrapped with bacon, shake on some Jack's Old South Hickory rub or your favorite rub. Place in pre-heated smoker burning hickory. You will smoke them at 225 until the bacon is done. Remember to use thin sliced bacon. 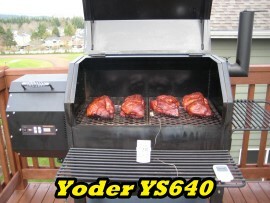 Traeger pellet grill owners set your smoker to Smoke for one hour then increase the temperature to 225 degrees. That's it! It's that simple. 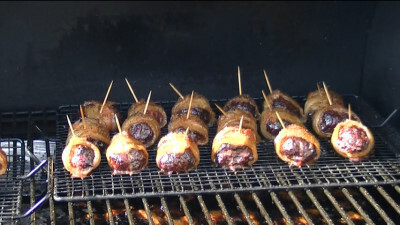 Pull the Teriyaki Moink Balls when the bacon looks done and the internal temp of the Moink ball is 175 degrees. The trick is to fully cook the bacon without drying out the beef meatball. For this reason I like to add the eggs, Worcestershire etc.